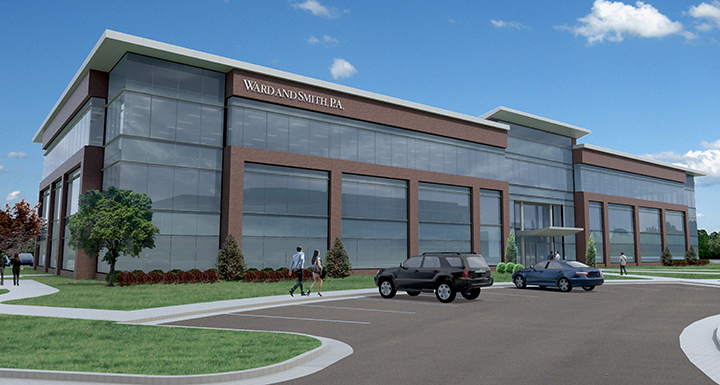 Ward and Smith Expands in Raleigh as Marquee Tenant in New Highwoods Building - Ward and Smith, P.A. Ward and Smith, P.A. announced today it will become the marquee tenant in the latest Highwoods building project located at 751 Corporate Center. The firm will occupy the top floor of the new 90,000 square foot building located near PNC Arena. The Ward and Smith building will be the third in Corporate Center Park. Ward and Smith engaged Alliance Architects to design a progressive space that will accommodate 50 attorneys and 50 support staff in anticipation of the firm's continued growth. "After a year-long comprehensive study of the options available to us in the market, we decided to pursue the most customizable space in our current general area. 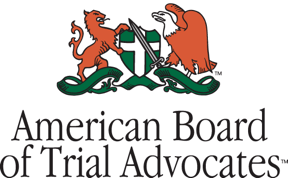 We continue to attract experienced attorneys who provide the services our clients desire. Having a brick-and-mortar office space that reflects our firm culture will support that growth," said Ken Wooten, Ward and Smith's Co-Managing Director. Highwoods Raleigh Division Vice President Skip Hill said 751 Corporate Center provides Ward and Smith considerable flexibility. "We're fortunate to have Ward and Smith, a highly-respected law firm and new Highwoods customer, showcase our newest Class A property at Corporate Center," said Hill. "Similar to Highwoods, Ward and Smith has strong North Carolina roots. As they continue to grow in Raleigh, they'll have room to expand with Highwoods; to enjoy the newly renovated, on-site amenities; and, with I-40 adjacent to the park, they'll have convenient access to their clients throughout the entire Triangle and state." The new space will include many features unique to the firm's culture. All offices are the same size to reflect a sense of equality. Corner spaces are not reserved for large partner offices, but instead will be used for conference rooms or common space open to all to demonstrate the importance of teamwork and collegiality. On-site amenities include a café, fitness center, and a conference facility that will be attractive to residents in the Raleigh office. The move is necessitated by Ward and Smith's growth. In 2016, the firm enjoyed continued expansion in the Triangle, hiring lateral real estate, white collar defense and litigation, and trusts and estates attorneys. The firm grew to 97 attorneys by the close of the year, and will continue to attract lateral attorneys and recruit new talent via the firm's long-running summer associate program.